Like governments, Jason Behrendorff lured India with freebies up front before taxing them with four top-order wickets, a spell of play India never recovered from. 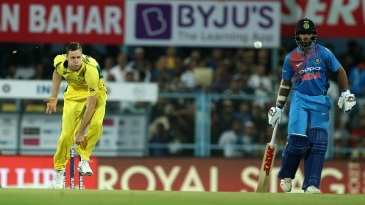 Adam Zampa, who has not had the best of times on this trip, had his own back with two big middle-overs wickets to make sure Australia finally snapped their seven-match losing streak in T20Is against India. 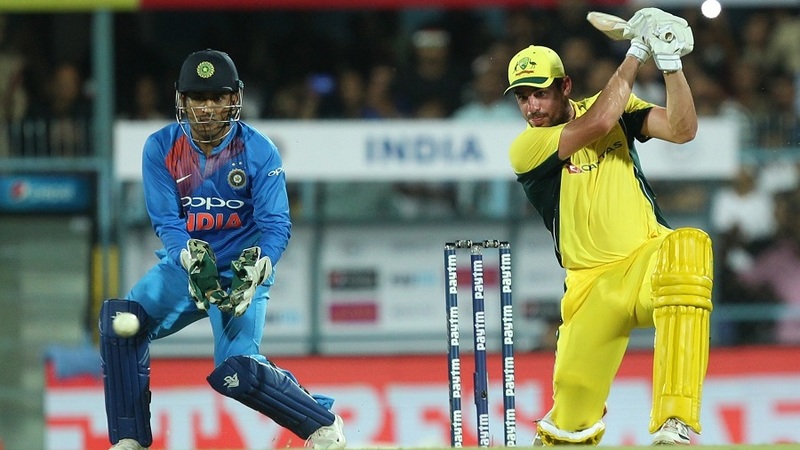 On a tacky pitch, with spin, seam and early swing on offer, India's batting seemed to fail to reassess what a good total was and fell 22 short of the 140-mark that might well have made for a tight chase. The way the match started, though, you might have thought of a score much higher than 140. The first ball was a gentle full toss that Rohit Sharma caressed to the point boundary; the third was a long half-volley that was crashed straight of mid-off. Then came the swing against the angle from left-arm over. Like Mohammad Amir has done previously, Behrendorff trapped Rohit in front with the fourth ball. The late swing two balls later was slightly less perfect, but the inside edge lobbed off Virat Kohli's pad for a return catch. Behrendorff had knocked over two of the most destructive limited-overs batsmen in the world in his first over.